← what does your adopted or foster child need? Hi there! Wow, it’s been a while. I took a much longer break from Lovin’ Adoptin’ than planned over the Christmas holiday. I hope you all made it through the holidays as I know many of you have some extra challenges. 2014 has been a busy and productive year for Lovin’ Adoptin’. Although my goal was to write that book which is based on much of the information included here, plus more, a look back at the year has made me realize that other great things were happening. First, thank you to those who follow my blog. Lovin’ Adoptin’ is always increasing in views, and this as well as your comments, will help in getting a publishing house to publish my book when it’s ready. Second, I had some great opportunities in 2014. I did an interview with Rebecca Vahle on Adoption Perspectives Radio Show (you can see the link to the interview below). I was asked to write for Adoption.com, however their guidelines were very stringent and I wasn’t able to say I write for them, which is essential when trying to procure a book deal – they want to know your writing experience. Another unexpected opportunity I received this year was speaking to nurses at our local hospital. It began with a questionnaire I filled out about our experience at the hospital with our son who has Autism. I added a letter because, well, I’m a writer. 😉 It was written kindly, but laid out that with more understanding of Autism in the hospital our experience would’ve been much better. After reading the letter, the Pediatric team invited me to speak to them. The Director of Woman’s Health and Childbirth was in attendance and asked to send out my information to all the hospital staff. This led to a phone call with the Nurse Residency Program Coordinator & Clinical Resource Specialist at the hospital, she asked me to speak to new nurses in her training a few times a year! Wow, I feel so privileged to be able to share with these nurses about Autism. In 2014 I was also asked to write a couple articles for an Anthology on Autism which will be published by the University of Michigan. I’m honored. 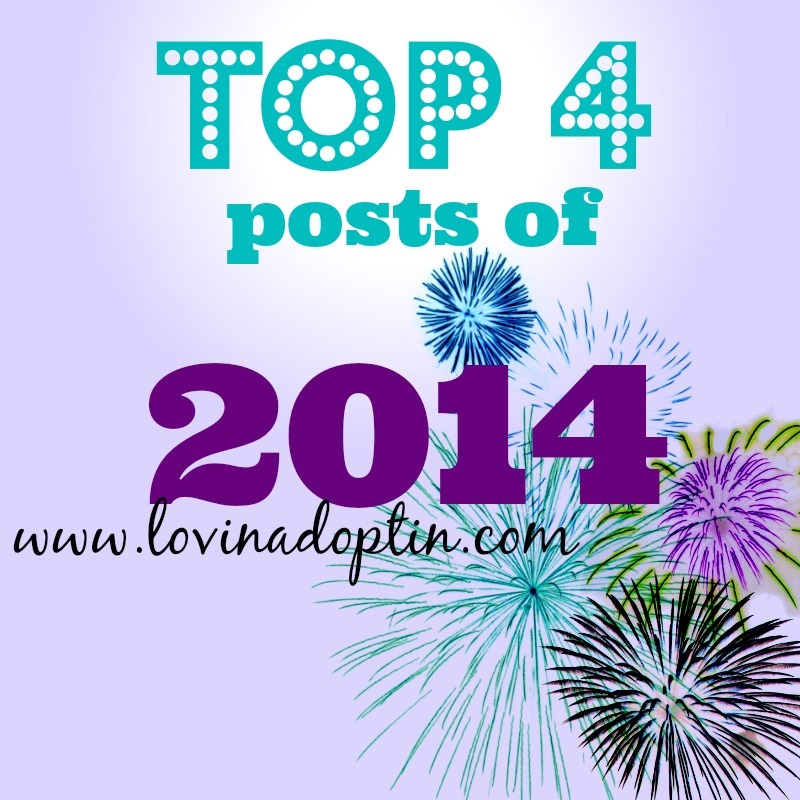 So, I thought I’d begin the new year by sharing some top posts of 2014 and add some more that I feel are important reads. Why Consequences and Rewards Don’t Work (Adoption & Foster) This topic has been hugely popular. I don’t know why comments haven’t been posted on it, however it’s been viewed thousands of times in the last year. I think many adoptive and foster parents can relate and I give steps to take to help your child. As always, I never intend to label the problem, but never give solutions. Another post which is often viewed in connection with this one is, 7 Reasons Why Time-In, NOT Time-Out. Because of these two posts, I was asked to do a radio interview with Rebecca Vahle on Adoption Perspectives Radio Show. Lies Are Like Flies and Multiplying Quickly: Why Adopted and Foster Children Lie – This issue is obviously not only related to adopted and foster children, but I lay out reasons why hurting children lie. 4 Reasons Why You Should Teach Your Autistic Child to Swim – Drowning is the #1 cause of death for children with Autism. There is a link within this post on how to help teach your child to swim. Why Adopted and Foster Children Have Sleep Issues (Sleep Issues Part 1) – Most adopted and foster children have a hard time sleeping, so much so that they don’t even sleep during LONG car rides. In this post I explain why this is, and link to an additional post that gives a step-by-step process that will help build trust with your child and help them fall asleep. Inclusion Vs. Exclusion: Special Needs in the Classroom – I’ve had many conversations about schooling and the special needs child. This explains what inclusion is and why it’s essential for children who have special needs. These are jest a few topics I’ve covered, you can view lots more on my Contents page. Thank you for reading, I wish you all a wonderful 2015! You can receive each post made to Lovin’ Adoptin’ by subscribing in the upper right corner. If you’re on a mobile device, you can do this on the web version. You can also “like” my page on Facebook, and follow me on Twitter and Pinterest. This entry was posted in adoption, Autism, foster care, special needs. Bookmark the permalink. Tracy, thank you so much for sharing all your experience and suggestions, your blog is really an invaluable resource for parents, not matter what their family’s situation! I read your posts pretty consistently, but I don’t often comment, so just know that I appreciate all the work you put into this.